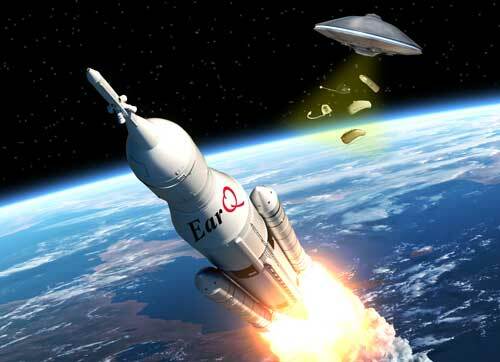 (April 1st, 2016)—EarQ is expanding our reach beyond the Milky Way! After doing extensive research on intergalactic health and wellness, we discovered other planets are severely lacking adequate hearing healthcare. We are proud to announce that our findings initiated the first Intergalactic Hearing Healthcare Program! Our efforts began on planet Zamtron, where 1 out of 10 adult extra-terrestrials (ETs) experience some degree of hearing loss. This can often be attributed to prolonged exposure to loud spaceship engines, listening to Nep-tunes at a decibel level exceeding 85, and using ray guns without hearing protection. We also found a connection between hearing loss and activities. For example, ETs who create crop circles are very likely to experience hearing loss due to the high volume of their laser beams. Young ETs often complain about a ringing in their antennae after attending space jams where the music is played at dangerous levels. EarQ has helped hundreds of ETs hear better, and we’re excited to see where our mission will take us next. Keep reading our blog for more out of this world news! All humans in need of a free hearing consultation can schedule their appointment here.